Flight over frozen sea coast line covered with ice with cracks in misty foggy cold winter day. Cold gloomy and mysterious landscape. 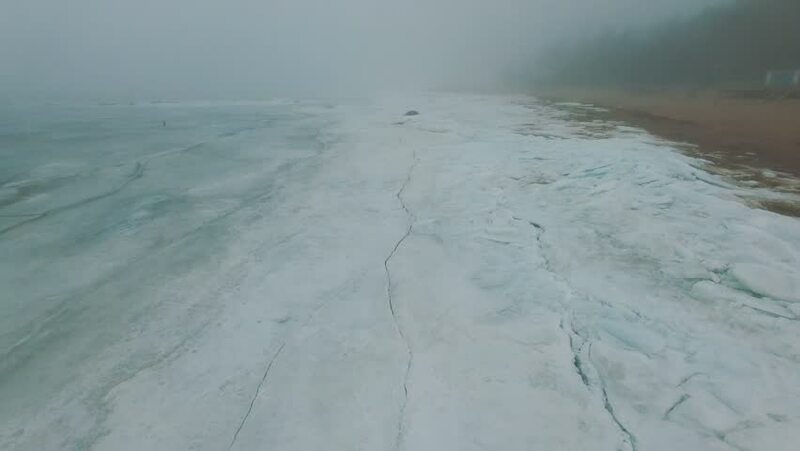 Aerial footage of frozen sea and beach with snow, sand and trees. hd00:24Sea of Azov and waves.